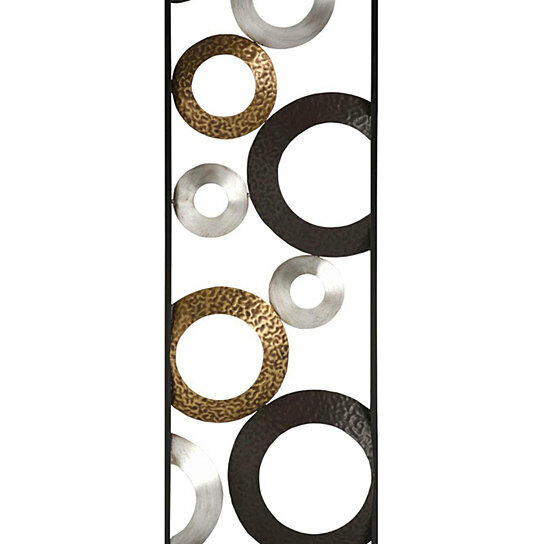 Decorate a bare wall in your home with Stratton Home Decor Metallic Geometric Panel Wall Decor. Made from solid iron with a metallic finish, this geometric piece is simple yet striking. Display it among pieces of contemporary decor. Decorate a bare wall in your home with Stratton Home Decor Metallic Geometric Panel Wall Decor. Color: Multi-Metallic. Material: 100% metal.